From enthic-chic prints to sublimely crafted detailing, your new look could be waiting for you on these fashionable Instagram accounts. The nostalgic CNY collection that’s graced Cuevolution’s recent posts is the result of a collaboration with local fashion brands Cassey Gan and Nelissa Hilman.The capsule collection comprises 2 dresses and 2 top and bottom sets, an extension from Cassey Gan’s latest Series 10 collection. The Nelissa Hilman shoes harmoniously incorporate Cassey Gan’s signature in-house prints and an exclusive logo representing the three-member collab. Pre-orders can be done at cuevolution.com. For all things fun in the sun, check out Sun Thing Cool– it’s possibly the beachwear upgrade you never knew you needed. Sun Thing Cool's swimwear mixes playful prints with beautiful patterns and fine details: essentially all you need for an Insta-worthy look on your next vacation. Get those beach vibes just right with Sun Thing Cool on Instagram. The handmade clutches and bags in this online fashion brand are the creative handiwork of entrepreneur Shailly Gupta. Think mesmerizing geometric patterns paired with materials like wood, embroidered fabrics and unconventional shapes. Indian Ocean by Shailly’s bags and clutches feature Shailly's own artwork, culminating in truly unique accessories that are sure to awaken your artistic inspiration. This social enterprise has not failed to turn heads, both with their stunning traditional hand-woven accessories and their commitment to channel the proceeds from each sale back to the women weavers from the Borneo indigenous tribe of Penan who produce these artistic wares for a living. Follow Penan Women’s Project on Instagram to check out their latest gawk-worthy tote bags and baskets, a combination of traditional craftsmanship with contemporary design. The bold and colourful world of Medea Treasures celebrates luxe bohemian fashion with a distinctly ethnic twist. This KL-based brand offers handmade accessories and home décor made from materials sourced from around the world. A cheerful assortment of accessories, jewellery and other decorative items are available on Medea Treasures’ Instagram account – you can also keep an eye out for their latest pop-up locations for a first-hand look at these beauties. This socially-responsible brand is on a mission to preserve the artistic culture of Iban weavers in Sarawak. Acting as an online platform for these local artists, the Rumah Gareh Pua Project offers exquisite hand-woven pua kumbu textile in various forms: bags, clutches and shawls, along with other trendy creations made of rattan or other local materials. An online haven for beautifully-crafted blouses, dresses, caftans and accessories, House of Bella Nasir offers custom-made creations as well as ready-to-wear clothing. Between their gorgeous bridesmaid outfits on Instagram and their tassel-laden clutches, this indie fashion house is a must-try for your next shopping spree. Like it sounds, local active-wear label Fit Rebel redefines the workout wardrobe with the basic notion that fitness fashion (tights in particular) need not always be minimalist. Fit Rebel takes you over the creative edge with hand-painted batik leggings and sleek tank tops, sports bras and swimwear. Be sure to hit up Fit Rebel on Instagram. 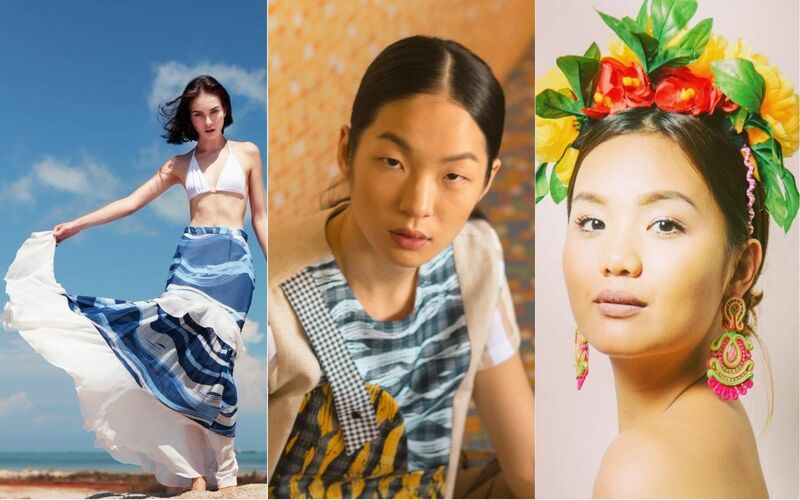 Batik is the main inspiration behind the stunning collections to come out of this luxury resort-wear brand. Kaftans, dresses, blouses and scarves take a contemporary twist on the traditional batik art form. The result? Wonderful prints and eye-catching designs to rock your tropical wardrobe. Catch the latest from FERN on Instagram. Kulet offers premium shoes for men and women – shoes that are 100% cruelty-free and animal-friendly. Crafted in a specially-chosen colour palette that suits different skin-tones, Kulet’s shoes are made of synthetic leather, designed for comfort yet terrific for an elegant evening wear look. Click here to see Kulet’s cool collections.